The Rhodes Physics Department is proud to host monthly open houses for students, faculty, and the general public. Specific objects visible vary according to the season, but some favorites are the Moon, Saturn, Jupiter, the Orion Nebula, the Perseus Double Cluster, and the Andromeda Galaxy. Several telescopes and observatory docents will be available to show these, and other, astronomical objects. Open houses are free and all are welcome to attend. 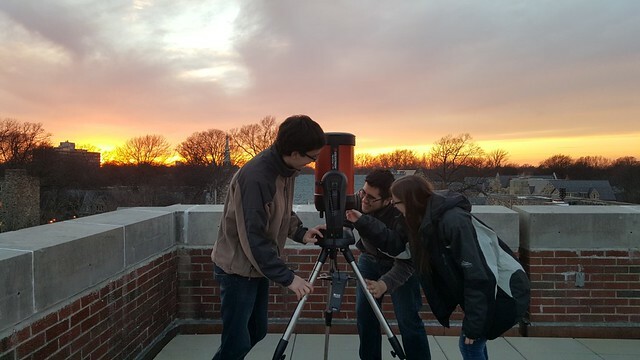 Observatory open houses will be held every Wednesday night, weather permitting. Through March 2nd, open houses will run from 7-9pm. After that date, times will change to accomodate daylight savings. Specific times will be posted here closer to that date. Check out the public Rhodes Astronomy Twitter or Facebook pages before you come for updates on the weather. Open houses are held on the sixth floor of Rhodes Tower. Click here for a Campus Map to help you find your way. The observatory houses a 20" PlaneWave reflecting telescope. This large telescope is fully computer controlled, and is equipped with a robust CCD imaging system. 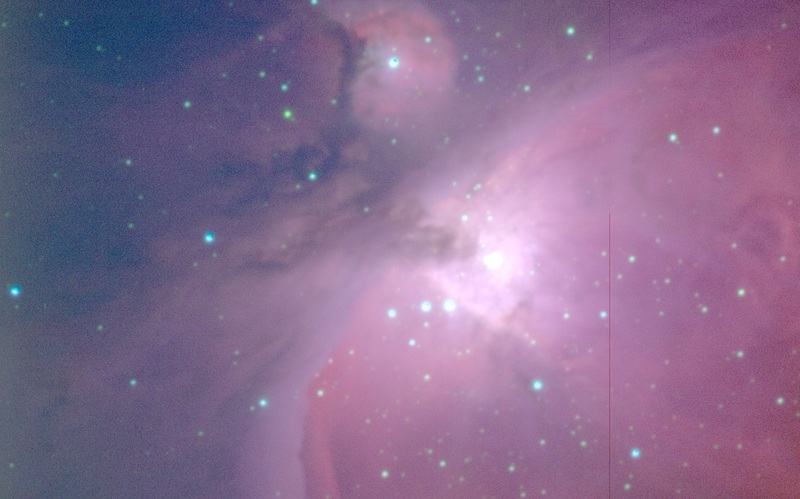 This enables high-fidelity images of distant and dim deep-sky objects. In addition, the observatory has eight tripod- mounted Celestron 8" computerized telescopes. These mobile telescopes provide excellent views of the moon, planets, and a variety of other celestial objects. Follow us on social media to hear about our upcoming events! Stay up to date with the current conditions at Rhodes by checking out the college weather station!